You should rethink your bookkeeper! Does your bookkeeper stack up anymore? 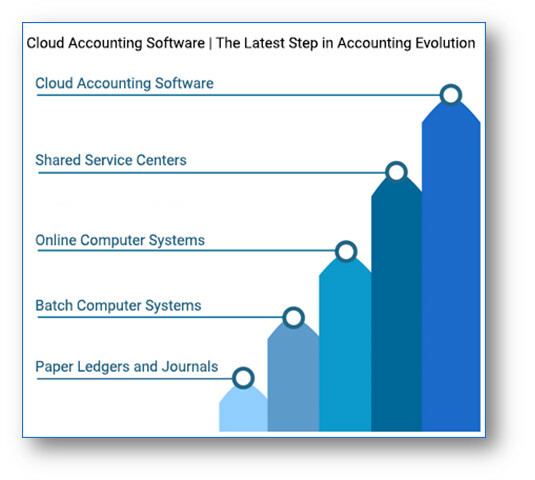 The calculator cannibalized the abacus, Excel revolutionized the paper ledger, and technology has now set it sights on the typical bookkeeper. The reality today is that your bookkeeper is performing repetitive tasks, while looking in the rear view mirror into the performance of your business, while technology now enables most data entry from their workload to be (mostly) automated and your books to updated in (near) real-time. This is not something happening in 10-20 years, this is something that an increasing number of businesses are doing, right now, today. I don’t mean to say that bookkeepers are going extinct, far from it. The role of the bookkeeper, the scope of services they provide, and how they deliver their services is poised for an innovative revolution. The modern bookkeeper is a technology expert, your operations guru, and the liberation of his productive capacity is going to save your business countless hours and thousands of dollars! Process driven technology has typically been reserved for large businesses with deep pockets. With the rise of SaaS (Software as a Service) product offerings, leading edge technologies and the associated productivity gains are increasingly available to small-and-medium sized businesses. Cloud based applications like Xero, QBO, Hubdoc, Plooto and so many more are revolutionizing how your back office operates. So, how does this impact the future bookkeepers and business owners? It means less employee time spent on administrative tasks, it means big savings on accounting fees at tax time, and it means that you get a better view into the day to day operations of your business. Your bookkeeper will spend less time processing paper receipts, bills and invoices, while spending far more time analyzing and reporting on the financial performance of your business and actively helping you improve profitability. Eliminate the repetition – Accountants and bookkeepers being free of small, easy, menial repetitive tasks (Think bank reconciliations, signing cheques, sorting/finding documents). It means that the consumer doesn’t have to pay their accountant or bookkeeper to DO those menial tasks anymore! Instead, you ‘Hire’ technology to do the work for you at a fraction of the cost! Accountants and bookkeepers move up the value chain – Accountants and bookkeepers have incredible insight into industries, processes, controls, financial performance and Key Performance Indicators(KPIs). There’s no need to waste anyone’s time on simple tasks. Accountants can have more time to go through your financials with a fine comb and find those areas of improvements. They have more time to ‘See the big picture’ and provide strategic advice your business can implement. Cost savings – Let’s face it! Accountants can be expensive! In many cases, accountants end up doing the work of bookkeepers, when some tasks fall through the cracks. By changing your business, so that accountants don’t have to spend as much time working through paperwork, means they won’t charge you as much. Tax returns done through automation software reduce client costs by up-to 20%. By automating your bookkeeping, you can save yourself from hiring internal clerks, which would save you 10s of thousands of dollars per year! What’s available? Actually, the question is not “What’s available?”, it’s – “What is my business wasting time on?”. The vital idea here is NOT to go out and get every piece of “automation” you can get. That will not be helpful or cost conscious to your business. The notion here, is to sit down and have a true, honest discussion about your business. – What are my pain points? – What am I spending way too much time on? – What do I hate doing? – Can it be done for less money? Millennials(and progressive Gen X or baby boomers) are demanding modern technology in their everyday lives. They expect their smartphone to track their expenses, their financial records to be available from the beach or an urgent supplier payment to be made while on-the-road. These automations can all be done! And more! If you want your business to save thousands of dollars, save hundreds of hours per year, while getting real-time tracking of your financials, you need to rethink your bookkeeper and ‘hire’ automation!